In a swift reaction to earlier reports that President Jonathan cancelled his meeting with the parents of the missing Chibok girls, the Senior Special Assistant to the President on Publicity, Dr Doyin Okupe said on the contrary, the parents of the missing Chibok girls were the ones who cancelled on the President on the advice of the #Bringbackourgirls campaign leadership. 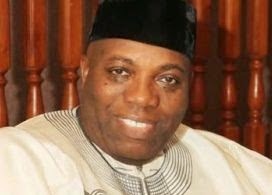 Speaking with newsmen in Abuja this evening, Dr Okupe said the President, the Vice President and other principal staff were actually waiting for the 4pm scheduled meeting with the parents but they never showed up. He said that the leaders of the #bringbackourgirls campaign, who brought the parents to Abuja by paying for their transportation and accommodation, advised them from honoring the President's meeting for selfish reasons. 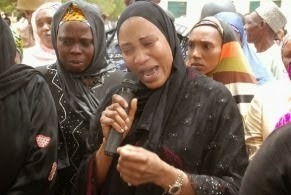 He said with this action today, the campaigners have shown that they no genuine interest in the missing Chibok girls.